Where should vaping products be stocked in stores? That question was sharply raised in response to Sainsbury’s, a British supermarket chain, placing e-cigarettes and vaping liquids on its shelves next to nicotine replacement products like patches and gums. 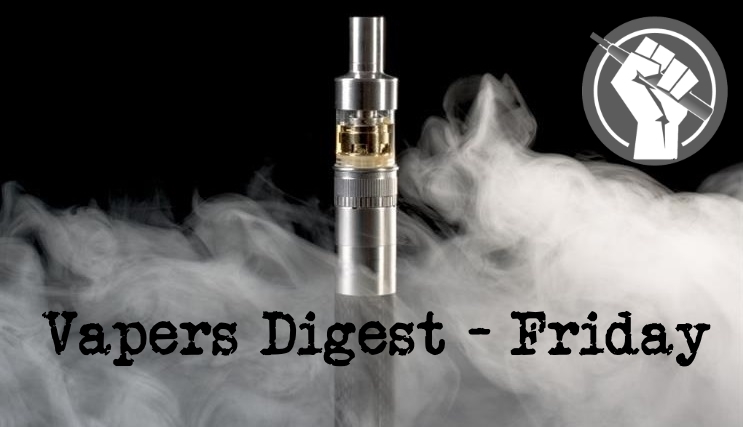 Smokenders LLC, the company behind the SmokEnders™ smoking cessation program has announced the launch of VapEnders©, a vaping cessation program. It promises to help vapers quit without recourse to patches, drugs or going cold turkey – which should be easy seeing as vaping carries a fraction of the addictive qualities of cigarette smoking. In a paper by a team led by Georgetown University’s David Levy, published last year, researchers found scant evidence of a gateway effect. Going against the current fear campaign coming out of the FDA, it highlighted how teen smoking rates continue to drop as vaping rises – a clear health dividend. Stanton Glantz attempted to criticise the study, but his comments were deconstructed in spectacular fashion by Levy. Food and Drug Administration (FDA) Commissioner Scott Gottlieb has upped the ante in his war against a fictional teen vaping epidemic at a public hearing in Maryland. The most successful tobacco harm reduction tool ever invented faces an “existential threat” if vapers and vape companies don’t act to prevent teen use, he said. A new year begins with resolutions. For more than three decades, the World Health Organization (WHO) has pledged to end smoking. Tobacco kills more than seven million people annually. Most are in developing countries. Each death is one too many. We have an unprecedented opportunity to give global tobacco control new energy and a new path. This requires courage, creativity, and the ability to seize opportunities as we strive to end smoking together. The Belarusian president signed Decree No. 2 to amend Decree No. 28 from 17 December 2002 and Decree No. 4 from 18 October 2007 regulating production, trade and consumption of tobacco products on 24 January, BelTA learned from the press service of the Belarusian leader. The main goal is to consistently limit access to tobacco products, to reduce the negative effects of smoking on health of people.